Hey Y'all! Today I got a new beautiful tattoo done by the talented Sam Tyson. 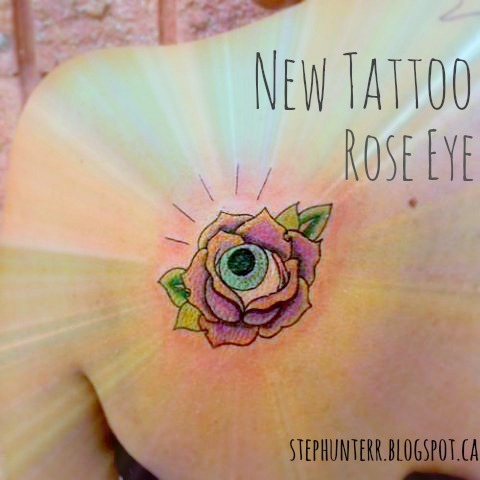 My newest tattoo is a "creepy-cute" twist to the traditional rose. (Sam's original design) I now have 4 tattoo's, although this was the first tattoo I have gotten done with shading and colour! Pain wise, It barley hurt at all! 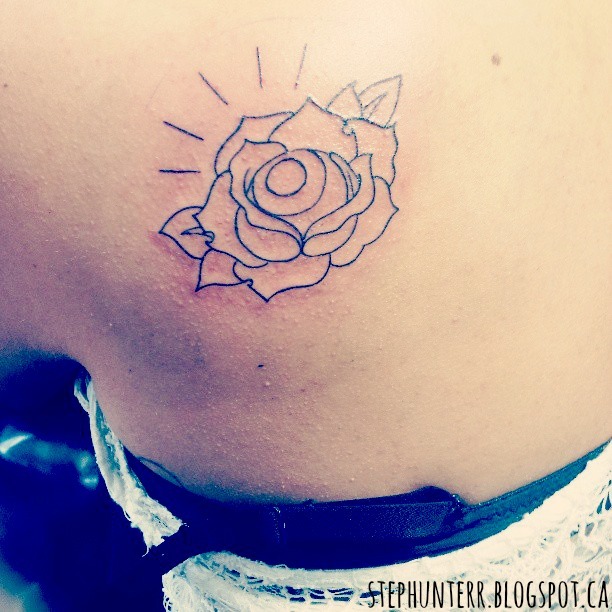 I got it done on the back of my shoulder, and in some areas I barley felt the needle. The outline is a more precise pain while the shading was a more "scratchy" pain. I paid $100, full colour in cash. I chose to colour the rose in purple because violet roses are my absolute favourite. Violet roses represent love at first sight, enchantment, and undying love. Here was half way through, after it was finished being outlined.